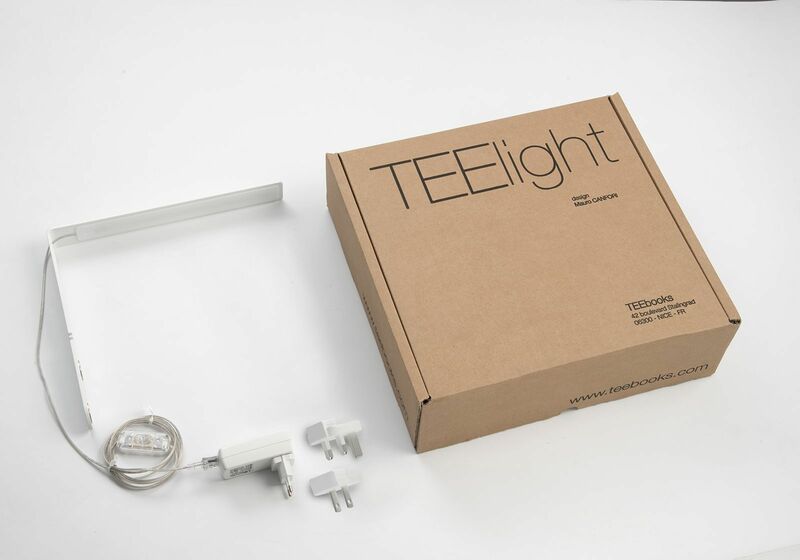 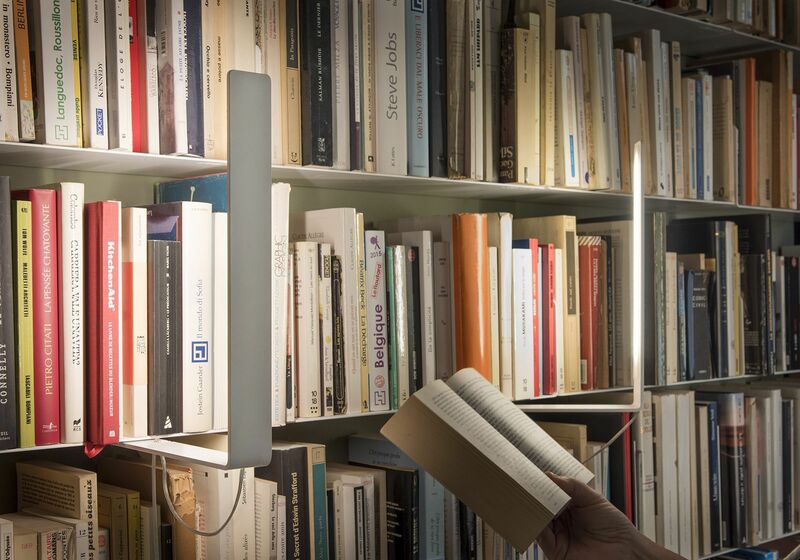 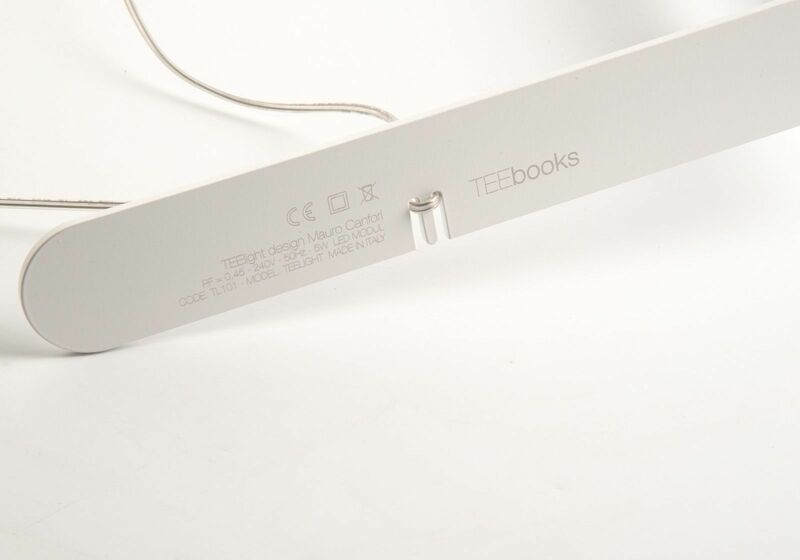 The TEElight lamp is a led wall light designed to go with the TEEbooks wall shelves thanks to its two magnets. 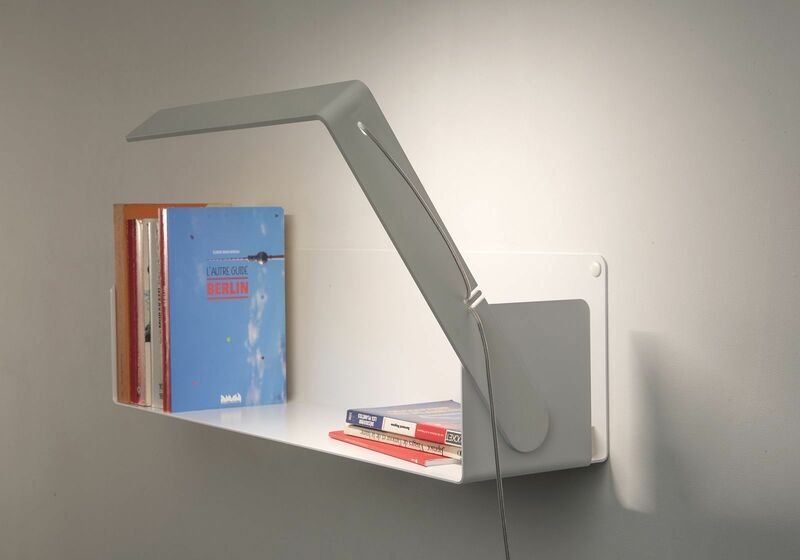 It is made in steel of only 2,5 millimetres thick. 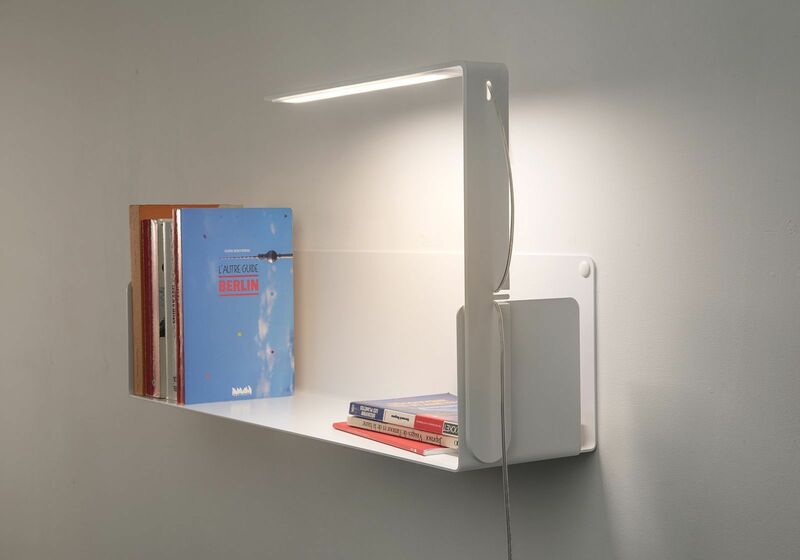 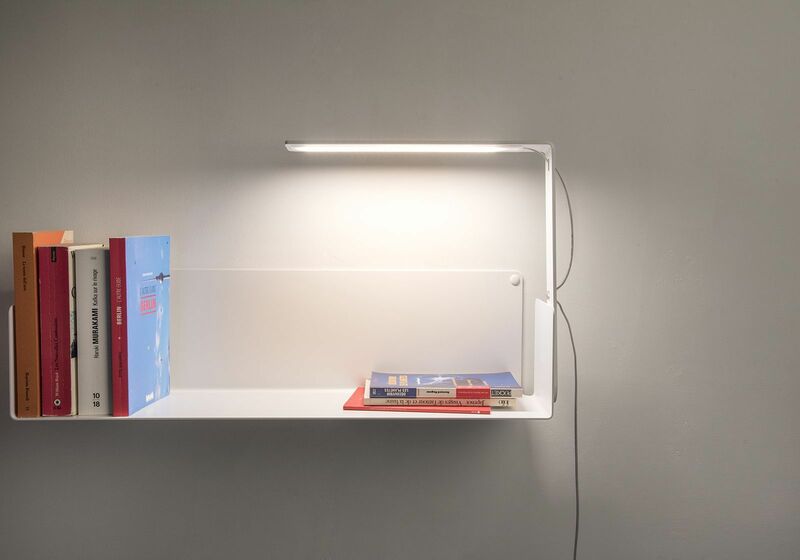 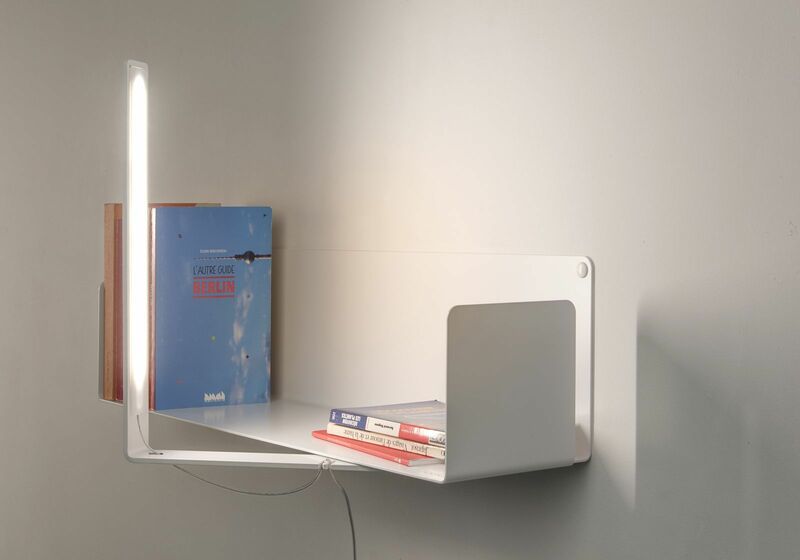 The TEElight lamp was mainly designed as a led wall light that can be paired with the TEEbooks wall shelves. 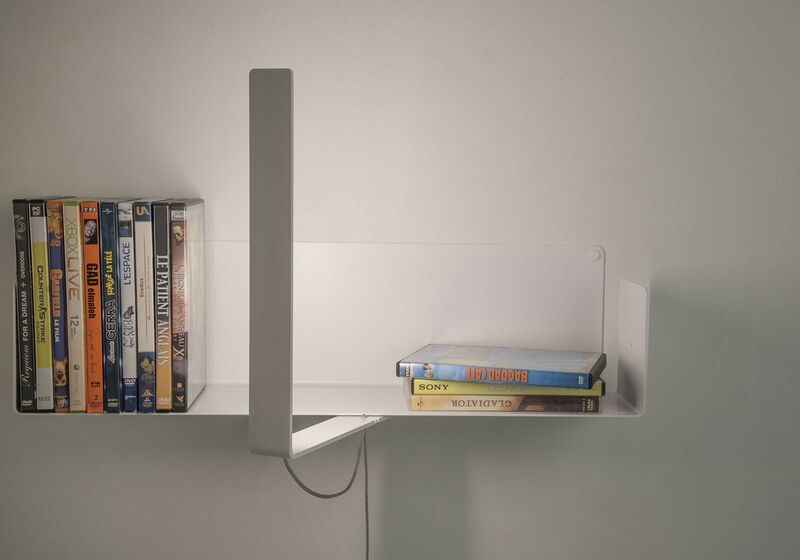 It enables you to light and to highlight your objects, books, CDs or DVDs. 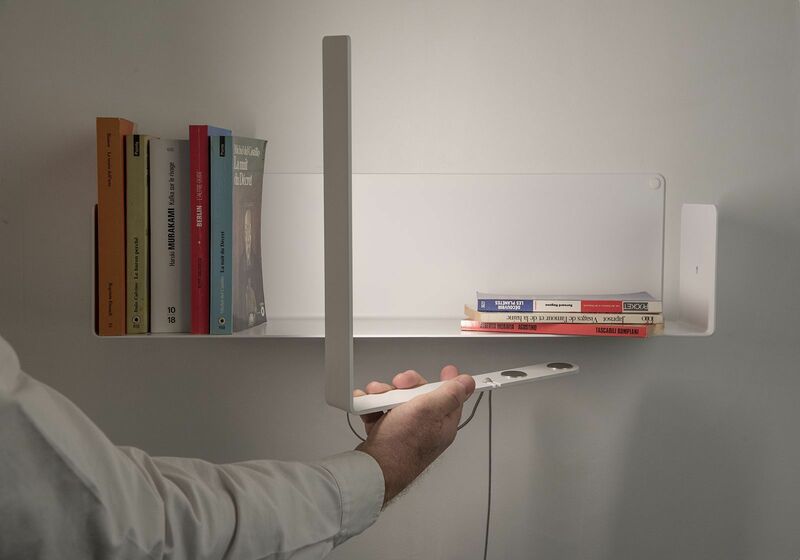 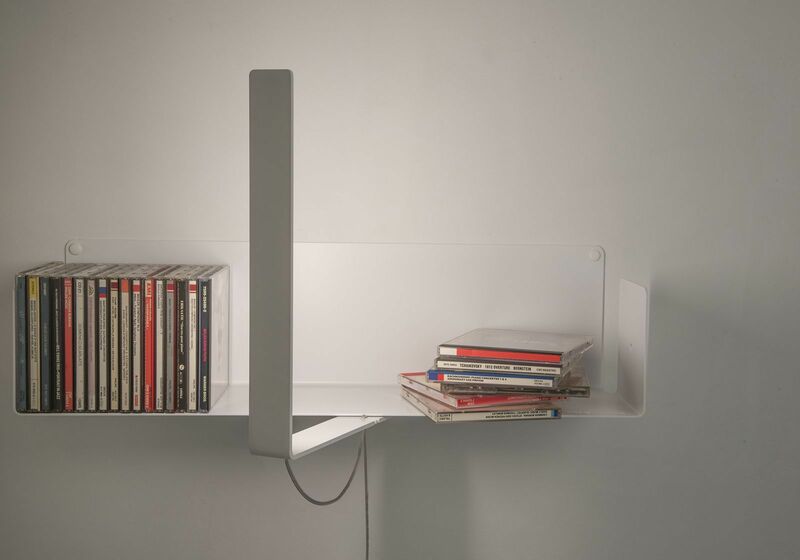 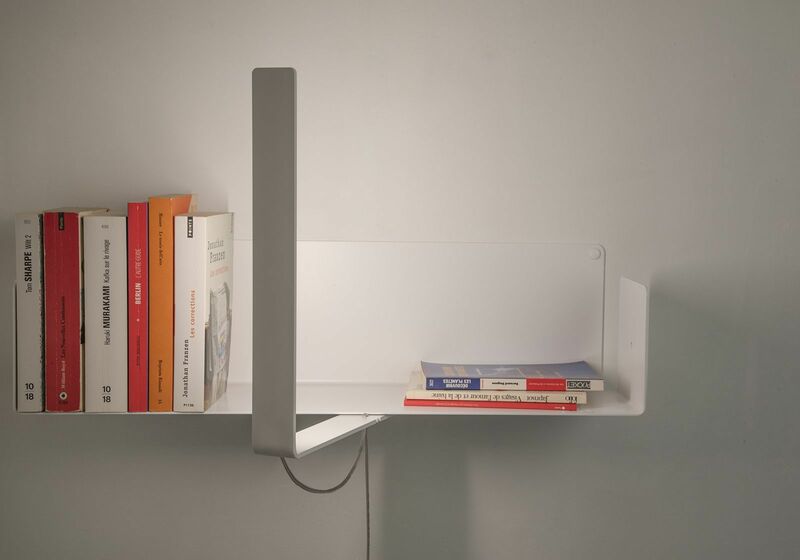 You can move it and orient it as you wish thanks to its two magnets : it lights the books or the CDs and, at the same time, it also lights the wall while spreading light in your room.